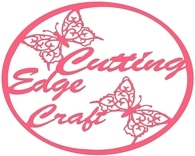 Double Ended Embossing Tool for Cougar and Silver Bullet Comes with 4 different sized tips A true embossing tool to create beautiful embossed effects on your cardstock, paper and vellum. Use with Embossing mat. Diamond Tipped Engraving Tool Fits Silver Bullet, Cougar and Craft Robo For engraving, creasing and etching. Diamond tip lasts a really long time! Pen/Tool Holder NEW! The new Pen/Tool Holder for your Cougar, Craft Robo and Silver Bullet This combination holder allows you to choose any one of three different widths of holder ensuring that your pen is held securely no matter the size. The outer holder takes pen/tools up to 12.8mm diameter. Each of the other holders can be fitted inside the first one to hold pens of smaller diameter. The middle takes pens up to 11.7mm diameter The inner takes pens up to 9.4mm diameter - holds even Sakura pens securely. For use with your Silver Bullet or Cougar. Produces a delicate punched hole which can be used with either the front or back of your finished media. Works with paper, cardstock, vellum, metal foils etc. Can be used on any media that has a surface that can be reoved. This pack includes Engraving tool, Pen tool, embossing tool, distress tool, Punch Tool, Click holder, Detail Blade Holder, 45 & 60 degree blade, 45 & 60 degree detail blades, fabric Blade, 60 plus blade, Double embossing Mat, Rubber Brayer and Budget Mat.